It was already my 6th or 7th time to get to Baguio City but every time I visit the place, my interest is always just like the first time that I’ve been to the city. I always see myself excited and pleased to get there. I don’t know but there’s something in this city that really makes me feel happy and at ease. Perhaps it’s the weather, possibly it’s the surrounding or maybe it’s the vibe. Whatever it is, this place is truly one of the tourist destinations in the country that I never get tired of visiting. Baguio City never fails to give me awesome memories. There’s always something new to experience, to learn or to explore in every trip that I make. Just like the latest one that I had with my friends when we had a weekend vacation in the city and visited some of its cafes and tourist spots. First in our list was to get to Chocolate de Batirol. Chocolate drink lovers will surely appreciate the place. 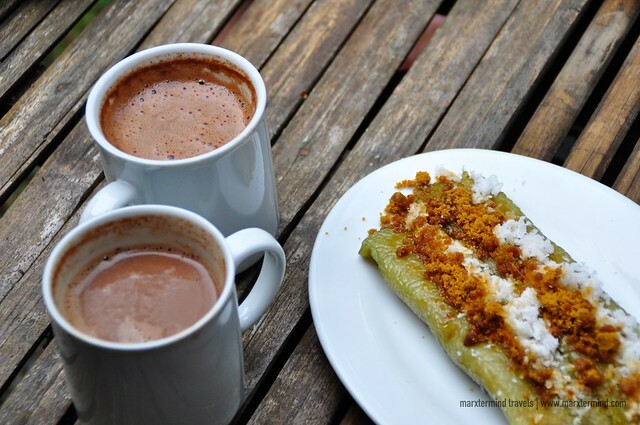 This popular café offers exceptional chocolate drink as well as good traditional Filipino snacks. 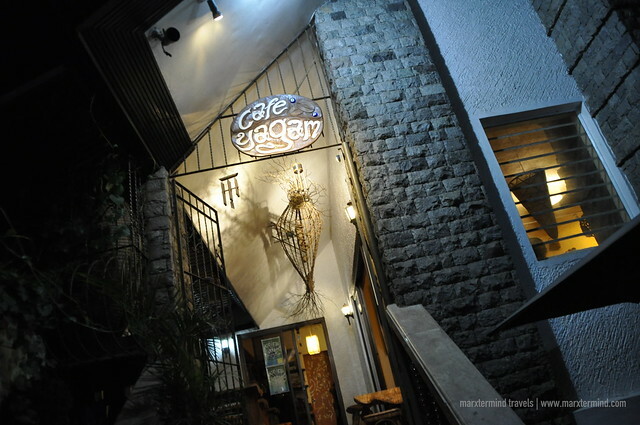 The café is like a garden cabin in its appearance. 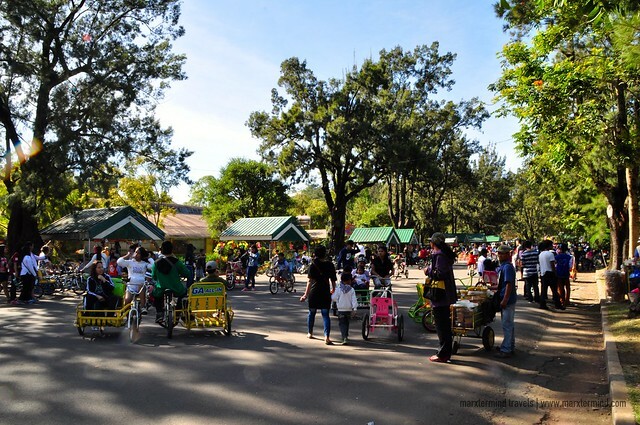 It is located in Igorot Park inside Camp John Hay. During our visit, we were fortunate that one of the owners demonstrated to us how to make the savory chocolate de batirol. The chocolate drink is made from cacao. The process of producing this mixture that was already passed on through generations is already a legacy, as we were told. The chocolate mixture is not just a drink anymore. It is a blend of old-warm charm and new-world convenience. 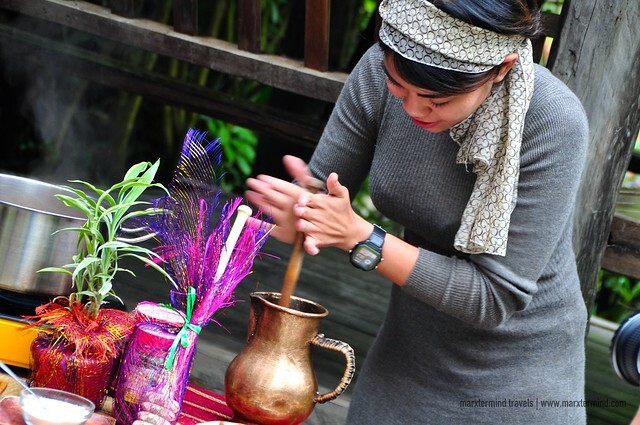 A sip of this drink gives us a taste of culture and tradition. 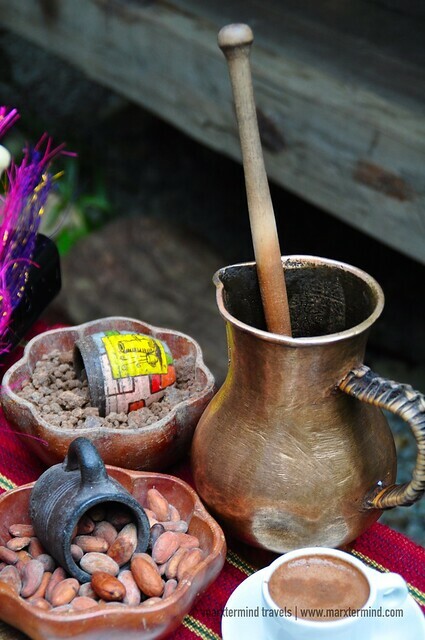 Chocolate de Batirol is made traditionally using a metal pot, which is the batirol. Then, a wooden rod mix has to use to mix the chocolate until it becomes deliciously thick. 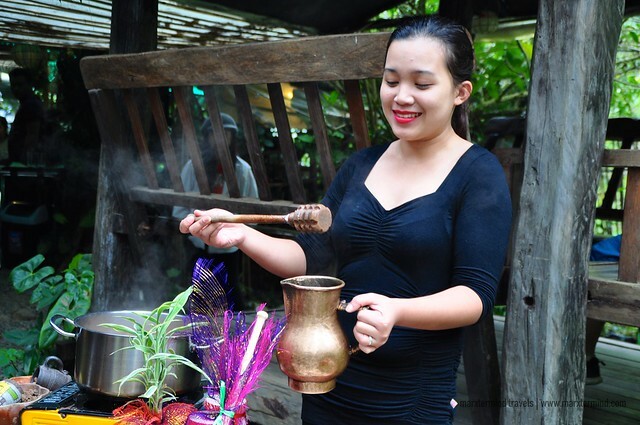 We enjoyed our drink most especially when it was served together with some all-time favorite Filipino snacks like turon, bibingka and suman. The distinctive taste and texture of the chocolate de batirol truly complemented with the weather. 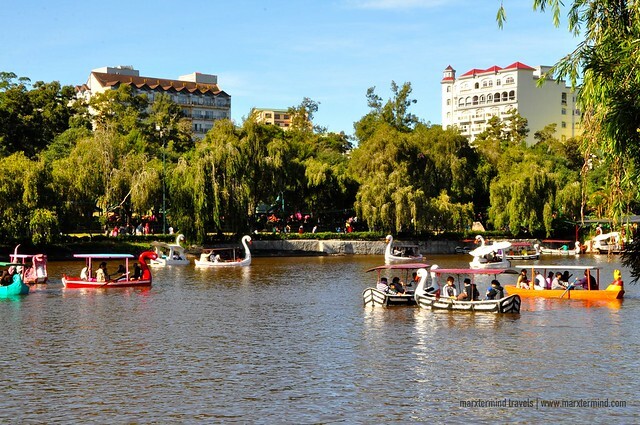 If there’s one landmark that I can think of instantly when Baguio City pops into my mind, then that will be Burnham Park. 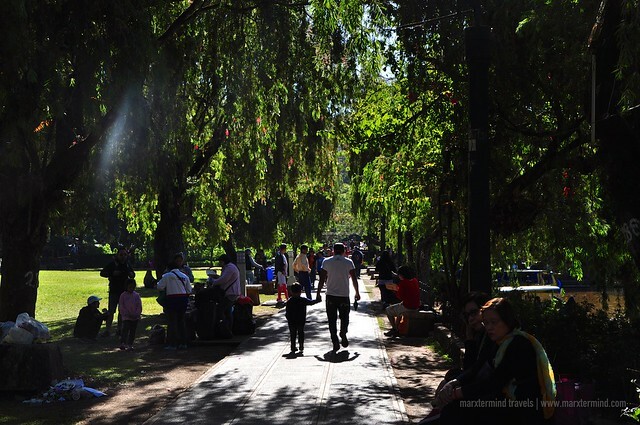 The park is one of the most visited tourist attractions in the city. It was named after Daniel Burnham who was the city planner back then. It is located at the heart of the city containing of a man-made lake. The park is always full of people both locals and visitors. One can enjoy boating, have a picnic, go biking or have a leisure walk around the park. With several activities to do in the park, it became a favorite place by most tourists. 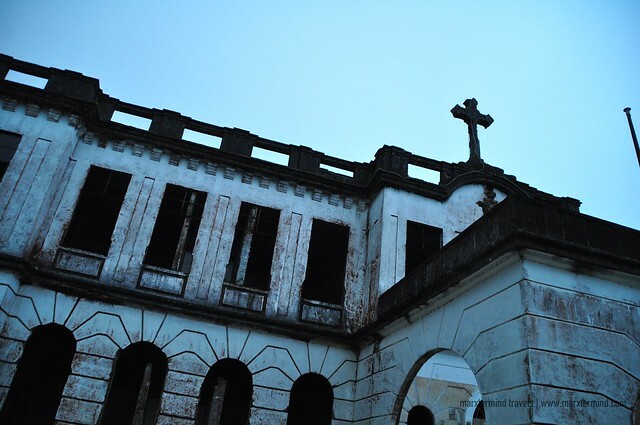 Before ending our day, our group decided to go to Diplomat Hotel and even so it was already nearing nightfall, we took a chance and visited the place. 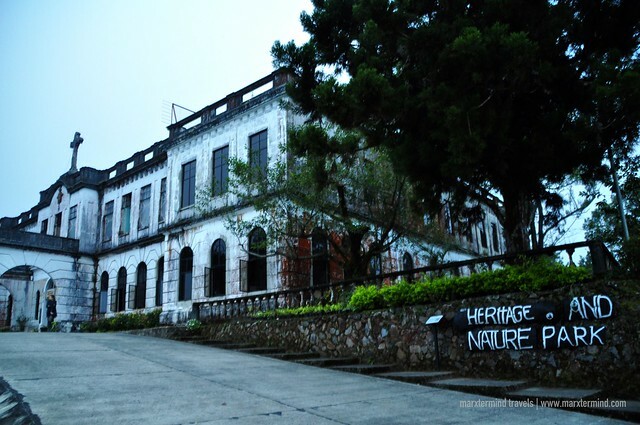 Diplomat Hotel is an old abandoned former hotel located at Dominican Road. Tourists go here because it is famous for being a haunted place. The area is only open for visitors until 5:00 PM. It was already past the allowable time but our group had gotten allowed by the guard on duty to get in. Well, we had only decided to stay there for a few minutes. It was already getting dark and remaining there for too long was of course not a good idea. The Diplomat Hotel has 3 floors and a roof deck. 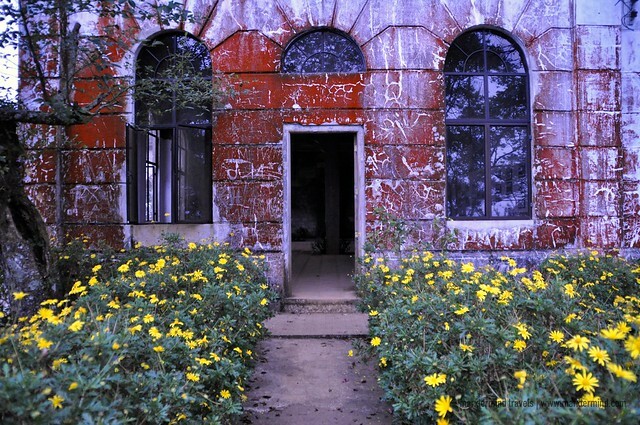 Inside of it were tatty structures, damaged rooms, broken walls and ruptured stairs. 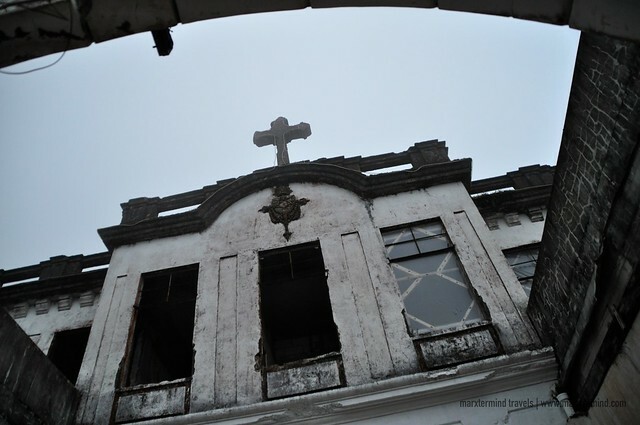 It was still the same eerie building that I’ve visited few years back. But compared to my first visit, getting to the upper floors and rooftop wasn’t accessible anymore. We just stayed in ground area and took some pictures – or maybe capture something creepy. Before encountering some frightening things, we had then decided to leave the area and get back to the city proper. If you’re in the mood for shopping, then Harrison Road Night Market is a place for you when in Baguio City. 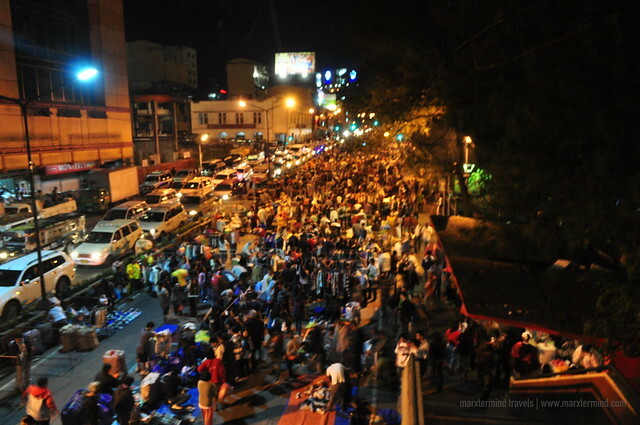 During at night, ukay-ukay shops gather at the Harrison Road and sell second-hand garments, shoes and any other stuff in a very affordable price. So, if you’re someone who finds excitement hunting for bargains then the night market is for you. You’ll surely find something to buy in there, after all – almost all merchandises are in dirt-cheap prices. The night market is open every night from 9:00 PM to 12:00 AM. 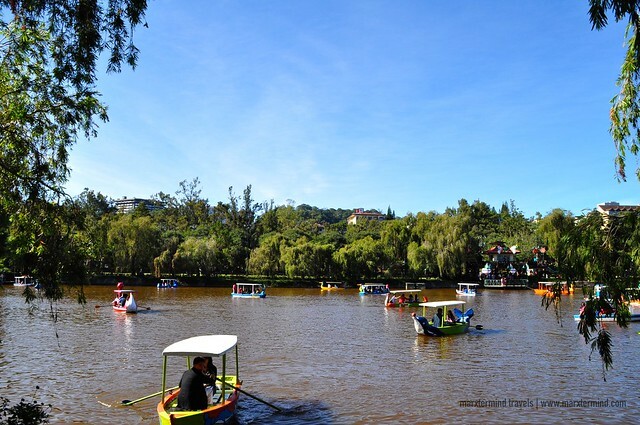 Baguio City can be frustrating sometimes because of the influx of tourists. 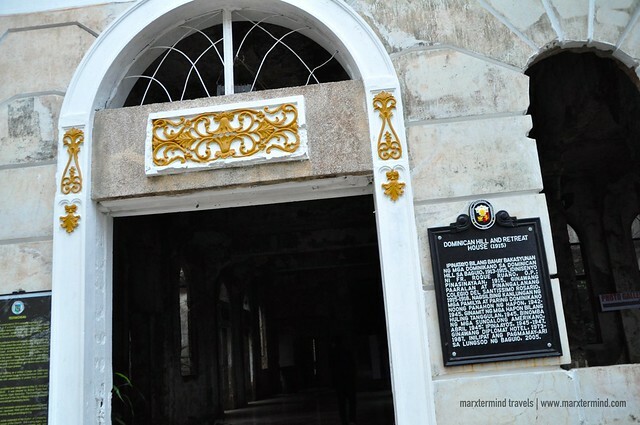 But surely, there will always be a place in the city wherein you can escape from the crowd and enjoy the old-time vibe that the city had back then. That was what we had discovered when we went to an offbeat café located at Felipe Street, Gibraltar – the Café Yagam. 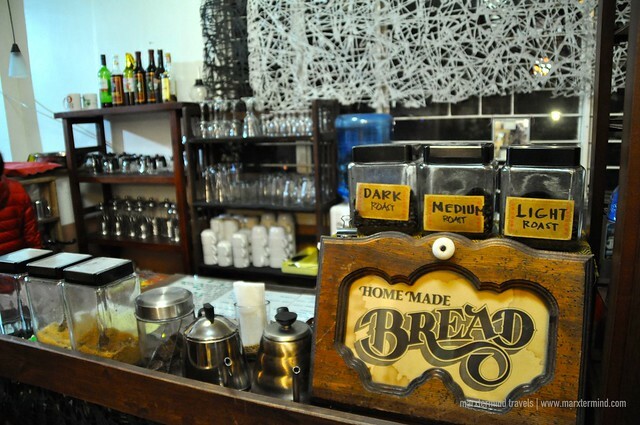 The café is a home that was converted into an establishment that is now selling food and coffee. 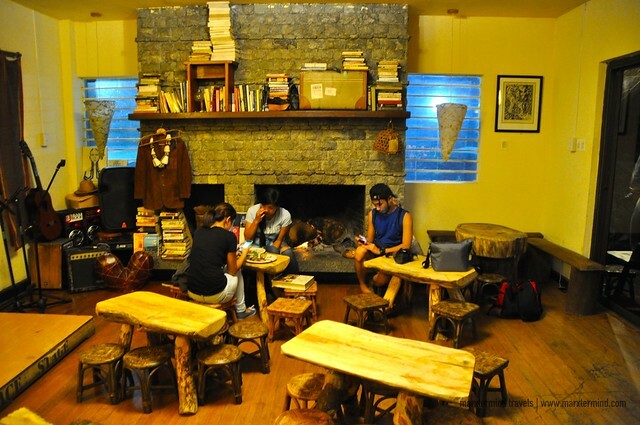 By entering the place, you could already feel the homey vibe of what early houses in Baguio City sense like. The presence of fireplace made our stay at the café even homey and more laid-back. There are small tables places besides the fireplace, which is a really nice place to chill. We were really surprised how nice the place was. 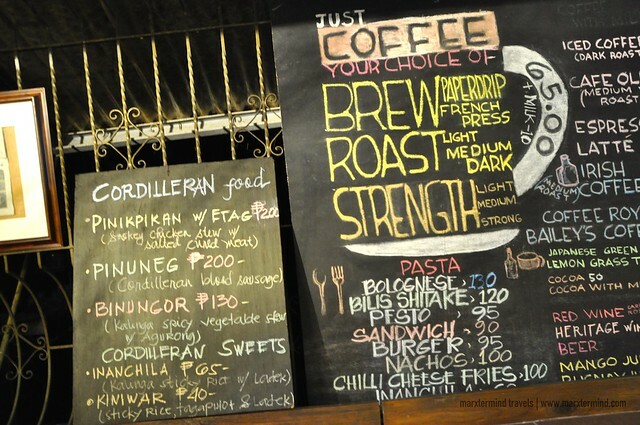 The café offers different Cordilleran food like Pinikpikan, Pinuneg, Binungor and some Cordilleran sweets. They also sell comfort food like pasta, sandwiches and burgers. But what this café actually boasts about is their coffee. 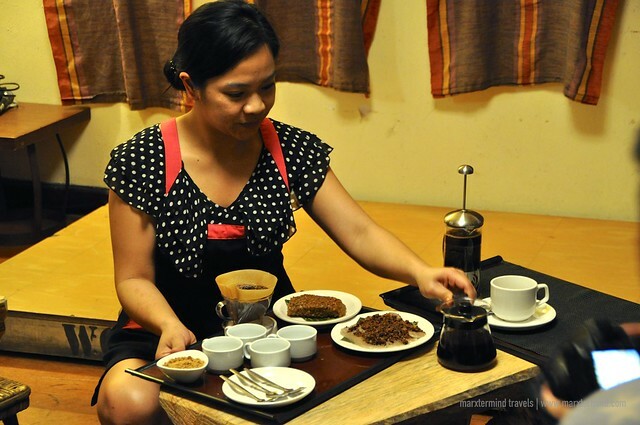 Café Yagam is said to be the home of the best Arabica Coffee in the country. I’m not a regular coffee drinker, so I didn’t try the coffee. But what I had tried that all of us agreed to be so appetizing was their sticky rice with caramelized sugar on top. 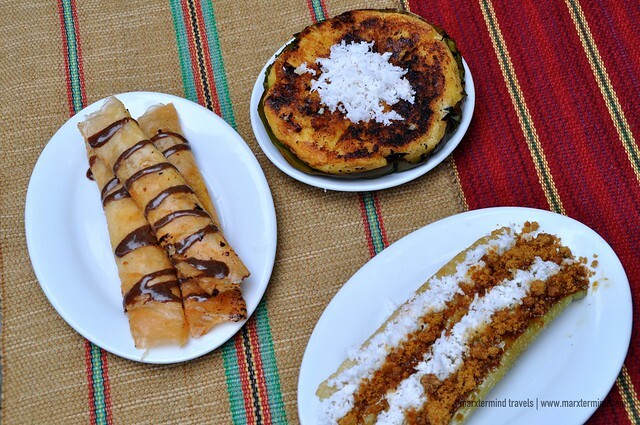 This sweet is actually called Inanchila, which is a Kalinga sticky rice cake with ladek. Because it was only rare that we can get to or from Baguio via Kennon Road through a private vehicle, we took the opportunity and decided to stop by some famous sites along. One of these sites that can be found along the highway was the Lion’s Head. The Lion’s Head is a famous attraction located at Camp 6 that measures 40 feet in height. 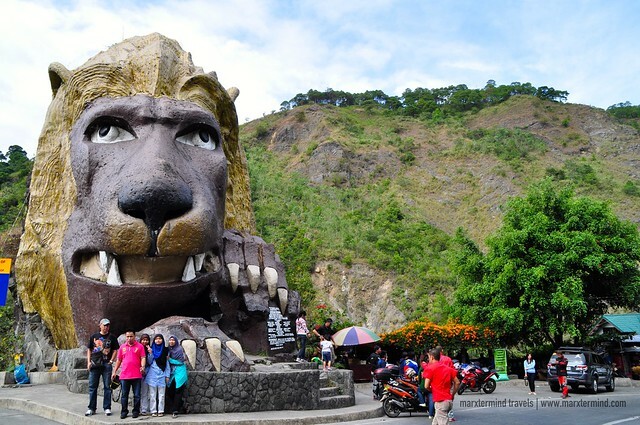 The Lions Club members of Baguio City conceptualized the structure. 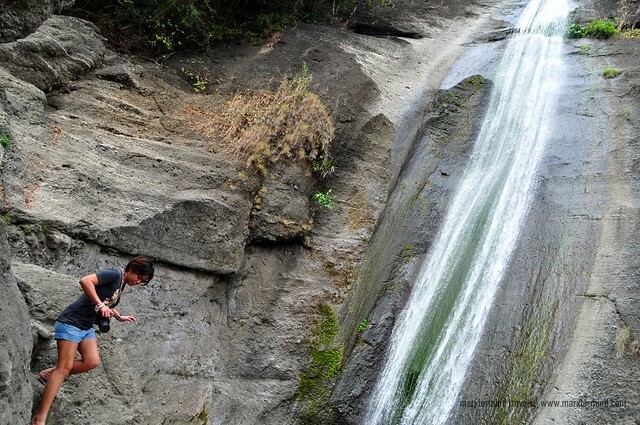 A Cordillera artist carved the head from a limestone boulder. Beside the famous structure are some small stalls that sell sculpture and other native handcraft. Drinks and light snacks are also being sold to visitors who take time to stop and take a break. 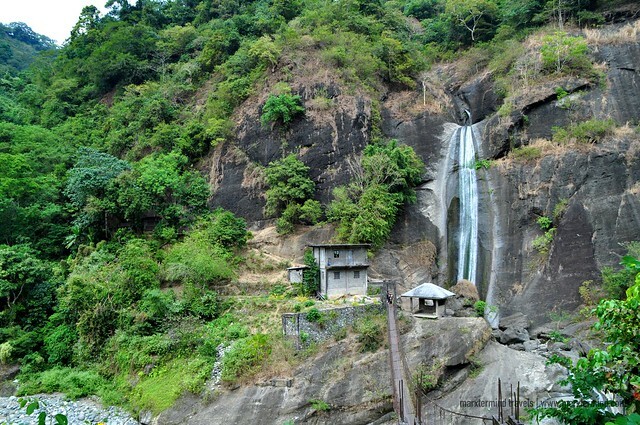 Another spot worth visiting along Kennon Road is the Bridal Veil Falls. It is a potential natural attraction situated in Camp 4. 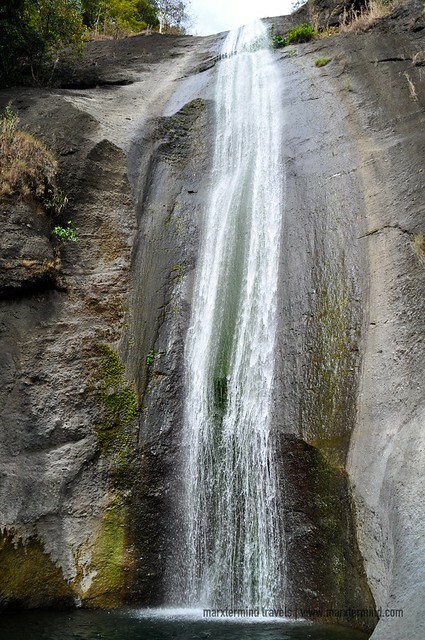 The fall was named as such because it resembles a “bridal veil” when viewed from the highway. 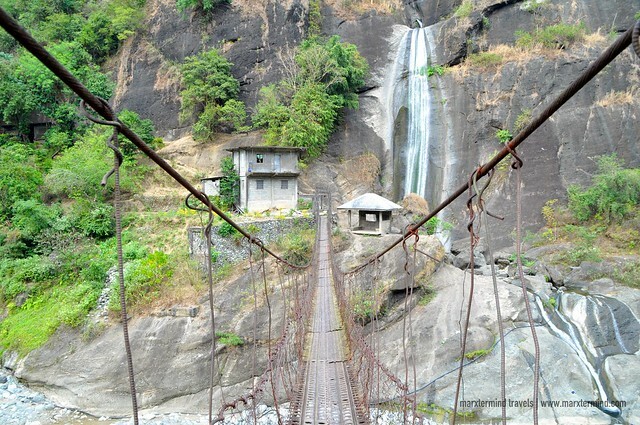 From the highway there’s a rusty metal suspension walking bridge that connects to get to the waterfalls. 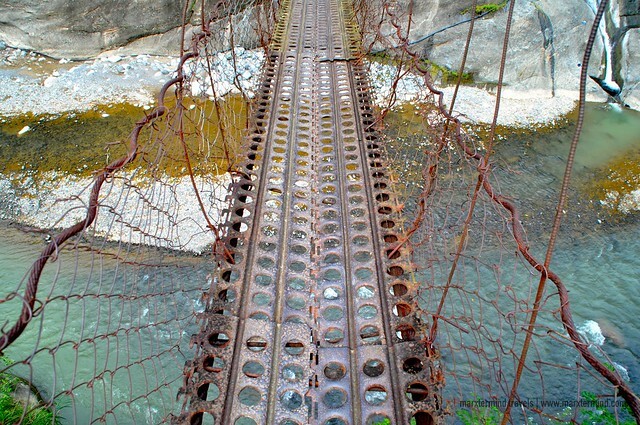 The bridge is compact, but the metal in some parts doesn’t look safe. The falls is fairly impressive. The plunge pool is quite big. One can actually swim, if he or she wishes to. Some of my buddies and I would like to take a dip but we couldn’t because we were already on our way back to Manila and we thought it will be just a hassle to change clothes. Sigh! Well, maybe next time. The Bridal Veil Falls is just one of the several and other smaller waterfalls and streams that can be found along the highway. 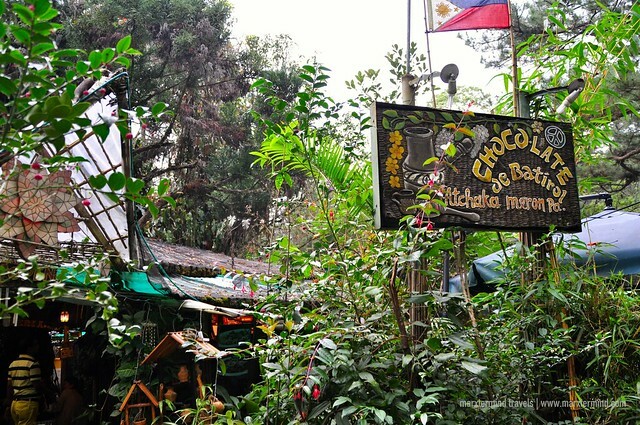 There are still more to see along this long winding road that leads up to the city of Baguio. 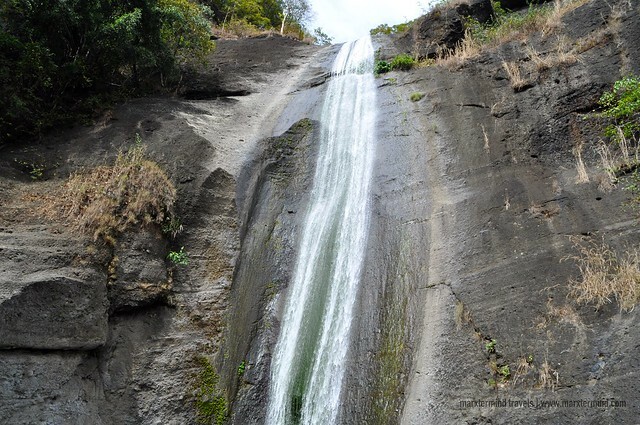 In fact, if you’re up for more waterfalls adventure, then you might want to visit the Hydro Falls that is also situated along the area. Baguio is always a favorite place of mine. Again, I will never get tired of visiting this place. Maybe it’s just because it’s Baguio City! It doesn’t run out of reasons for people to go back. Its coziness, atmosphere, people, environment, food, heritage and so many things that make me love the city more and even more.